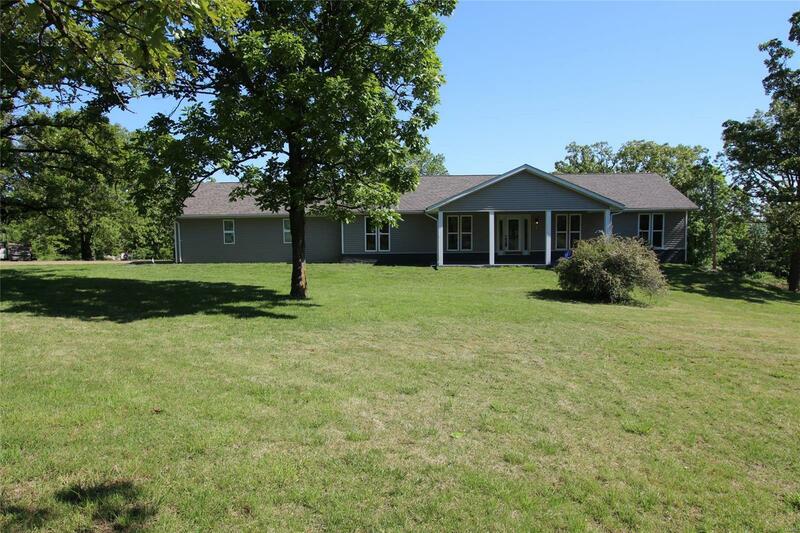 3 bedroom 2 bath 1500 square foot ranch on 1 acre in Bonne Terre. North County Schools, this home has been renovated and is ready for your enjoyment! All of the following has been done in the past 6 months- heating and cooling, well, septic, flooring throughout the home, barn doors, solid wood interior doors, tiled master bath shower, a kitchen with stainless steel appliances, new cabinets, huge breakfast bar, a pantry, tiled back-splash, an open floor plan overlooks separate dining room and huge living room, ceiling fans with remotes, recessed lighting with bluetooth speakers in them! The large open basement has drywalled walls, and a rough-in bath. It also walks out to a firepit area! No subdivision restrictions or dues, no monthly water or sewer fees, come check out this well-done home, you wont be disapppointed!